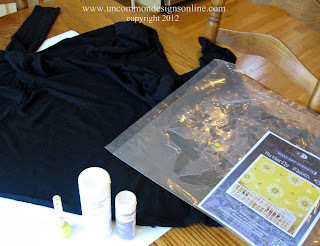 How many of you have tried stenciling? I am a newbie and when Cutting Edge Stencils offered us an opportunity to try out one of their fabulous stencils, well, I took the plunge! They have so many beautiful stencils to choose from, in both craft and wall sizes! Isn’t it precious! 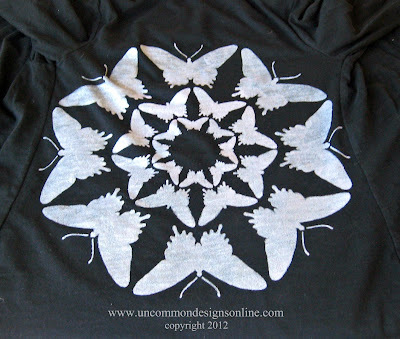 I used the Butterfly Bloom #3 Wall Art Stencil. I think it turned out incredible and she is thrilled! The detail is amazing, I was super pleased with that! I followed the directions on the fabric medium for finishing the sealing of the paint. My girl was thrilled with the finished result and so was I! The Cutting Edge Stencils are thick and great quality. They held up super during this project and I had no issues with bleeding along the edges. 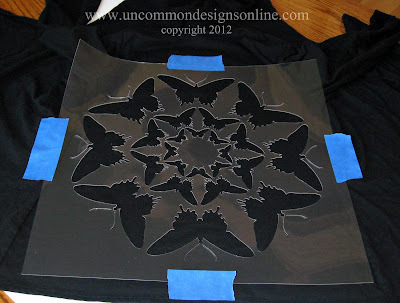 I will be able to use this stencil for many more projects! 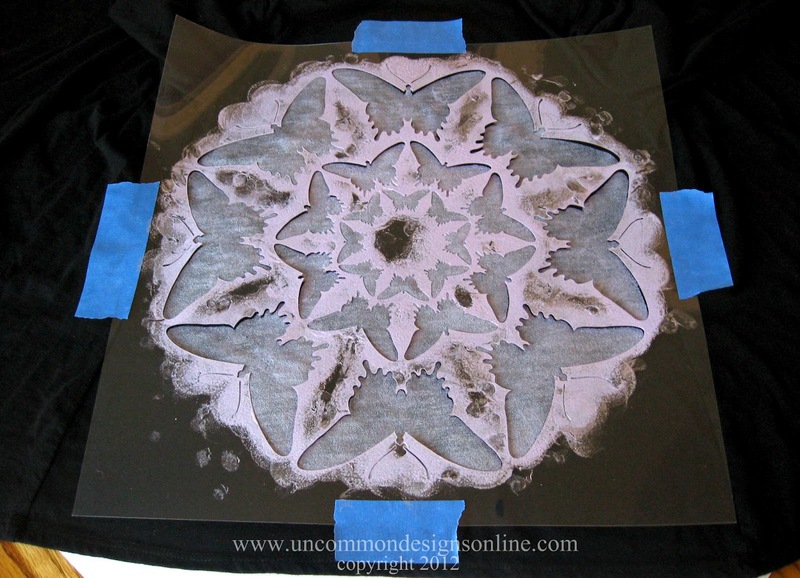 This giveaway from Cutting Edge Stencils, is for one stencil up to $50 in value. They’ll ship it to you for free. Giveaway is open to US residents only, 18 years old and older. Giveaway ends Sunday, March 11th at 9:00 PM EST. Winner will be chosen by Random.org and notified via email within 24 hours of giveaway ending. Please make sure to include your email in entries if it is not accessible through your blogger profile. Disclosure: I received products from Cutting Edge Stencils to review, but all opinions expressed are my own. See our full disclosure policy here. The hoodie looks wonderful and she looks thrilled…the BEST reward! Unfortunately I don’t Twitter so I’m out but I’m happy to go LIKE everyone anyway! LOL I need to stencil my bedroom walls and am searching for just the right thing so I’ll take a look at their designs…thanks! 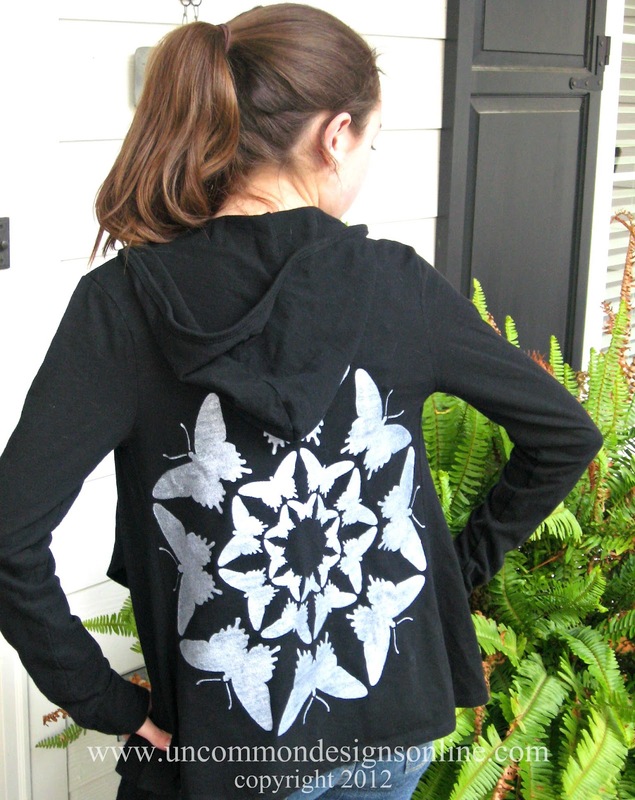 I am a faithful follower and your stenciled hoodie is SO fabulous!! I think I’d have to stencil the shelving unit I am using for our home organizing center! i follow your blog (and love it!) – your hoodie looks so cute!! 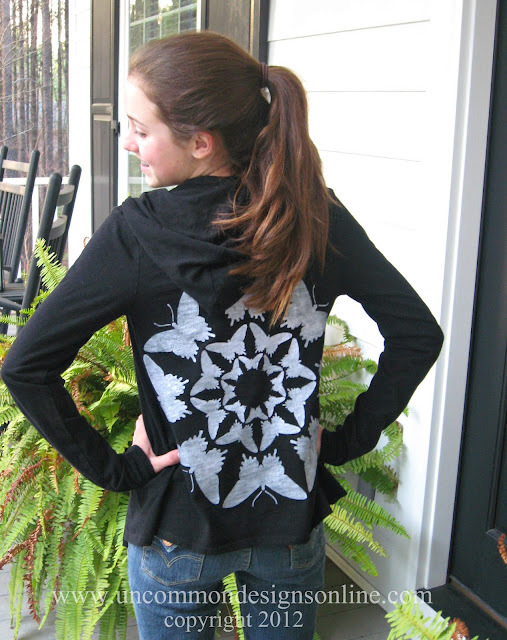 Now that is a creative way to use a stencil…you have given me a great idea to use for some of Kate’s dance hoodies! Oh, your hoodie turned out so adorable! Very creative using it on clothing, I need to try that! Now why didn’t I think of using a wall stencil as a stencil on clothing?! The hoodie turned out great! I am an uncommon follower! And following you on twitter. Awesome hoodie upgrade! I am already a follower via RSS. This is so pretty, I think I’d like to make two t-shirts with this, one for me and one for my sister! I’m following via GFC! I just liked Cutting Edge Stencils on FB. Love, love, love their stencils! Just liked Cutting Edge Stencils on FB and I really do!!!! i already like cutting edge on fb! Wow, the hoodie looks FABulous! Love the butterflies. I’m a follower and I would use the stencil in so many ways. It would be fun to stencil an apron. I’m following you via Linky Followers & GFC. 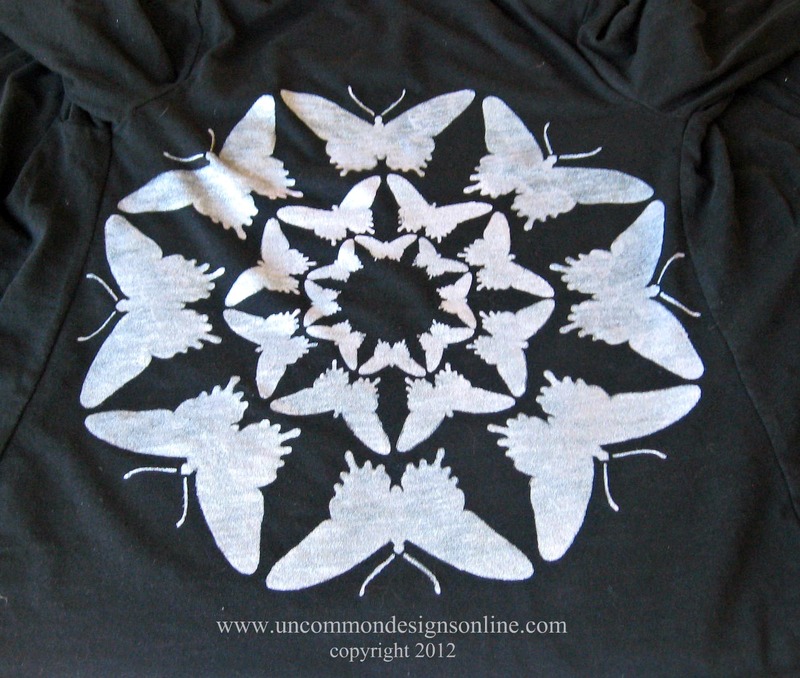 I liked Uncommon Design – loved the hoodie you embellished with the stencil – very clever. I’m a new follower! I love how your project turned out! I have been wanting to stencil my curtains forever! I love so many of there stencils! I’m following you on twitter! Thanks so much for hosting this awesome giveaway!! I like CE stencils on fb. I follow you through GFC. 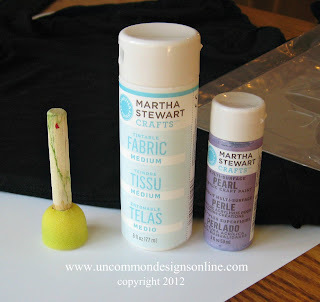 I would love to stencil some of my plain lampshades! i am a follower of ces on fb.